On Feb 8, the AHA named “Fixing a gene mutation in human embryos” as among the “top advances in heart disease and stroke research” of the past year. They joined a chorus of voices heralding this as a research breakthrough. The announcement brought attention to the fact that US scientists have recently demonstrated the plausibility of using gene editing to make designer babies. In August of 2017, a team of genetic engineers at Oregon Health and Science University (OHSU) successfully used CRISPR to modify human embryos. The team, led by Shoukhrat Mitalipov, didn’t actually make a designer baby but showed that they had the technology to do so. This was a first for the United States; until then, such a procedure had only ever been attempted in China. Mitalipov’s team sought out to correct the gene in human embryos responsible for causing an inherited disease called hypertrophic cardiomyopathy (HCM). Hypertrophic cardiomyopathy is surprisingly common, affecting 1 in 500 people and is caused by mutations in a gene called MYBPC3. Many babies born with a defect in MYBPC3 lead healthy lives, but in some, the mutation causes the walls of their hearts to thicken and suddenly fail. There is no treatment for HCM, and it is the most common cause of sudden death in athletes. Mitalipov’s team wanted to prevent HCM entirely by removing the underlying mutation, so they collected sperm from a man with HCM and used CRISPR to correct the mutant gene. Once the sperm’s genetic defect had been fixed, the team used it to fertilize eggs and successfully created embryos that were completely free of the MYBPC3 mutation. The OHSU team succeeded by avoiding some of the problems that have plagued past attempts to use CRISPR in editing human embryos. Mitalipov was not alone in this designer baby proof of concept. In fact, five teams collaborated on the research, including four from the United States, and one from South Korea. The researchers published their results in August 2017 in the respected academic journal Nature. The team used viable embryos that could have been implanted in a womb. Fearful of the outcry that would ensue, these embryos weren’t implanted into a womb and were allowed to develop for only a few days. Had the OHSU team implanted these embryos and brought them to full term, they would have made the first designer babies in the world. Shoukhrat Mitalipov, Ph.D., is a Kazakhstani-born cell biologist with a track record of breakthroughs in the stem cell field. Mitalipov is known for discovering a controversial gene therapy that could be a way to prevent mitochondrial diseases, as well as a new method of creating human stem cells from skin cells. Mitalipov was the genetic engineer who cloned monkeys and was the first to create human embryos by cloning adult cells. In previous attempts, the controversial scientist had laid the groundwork for making designer babies by pioneering a method for creating embryos with genetic material from three biological parents. A technique that prevents a group of debilitating inherited diseases. Mitalipov improved the process that caused his predecessors to fail. Other researchers edited embryos at the early stages of their development, which led to defects in the embryos called mosaicism. Mosaicism is a condition in which cells within the same embryo have a different genetic makeup, making the modified embryo unfit. The OHSU team avoided this side effect by inserting the CRISPR components minutes before fertilization, at the earliest possible point. In other words, Mitalipov’s group neatly avoided the mosaicism defect by editing the embryo the instant it was created. The OHSU team applied the early editing technique on 54 embryos and successfully excised the mutant MYBPC3 gene out of 72% of them. The team found no evidence of off-target mutations in these successful embryos. 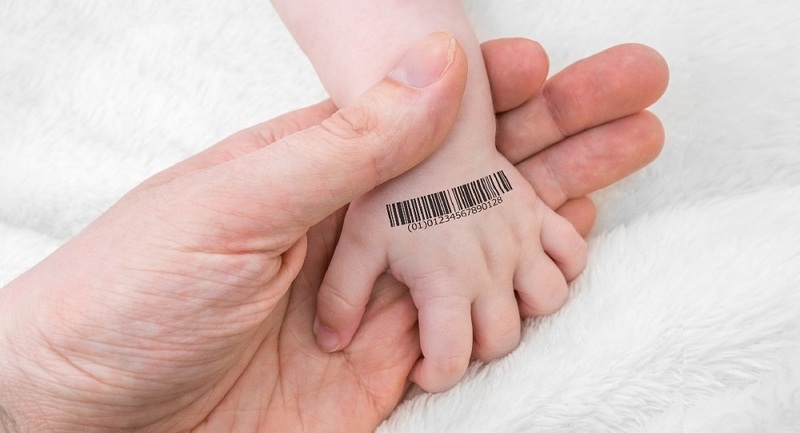 Mitalipov’s team had achieved a significant milestone leading to designer babies. Moreover, his research caught the attention of serious scientists. The paper on editing human embryos included heavy-hitters, such as Juan Carlos Izpisua Belmonte, and was the first of its kind to be published in a top-tier scientific journal—Nature. Up until this point, genetic engineers assumed that they’d have to use a more convoluted process to avoid mosaicism. For example, they would collect a patient’s cells and revert them into stem cells, and then turn them into sperm or eggs, which they would edit using CRISPR. The OHSU process is more straightforward and more efficient, cutting out the extra steps and extra risks. U.S. researchers are bound by strict regulations concerning experimentation with human embryos. Modifying human eggs, sperm or embryos, a practice called germline editing, is banned in 15 out of 22 countries in Western Europe, while no such restrictions exist in the United States. However, Congress has banned the FDA from considering research applications that make such modifications. As well, federal agencies such as the NIH are prohibited from funding research that ultimately destroys human embryos. Mitalipov’s team side-stepped the regulations by forgoing the use of taxpayer money. Instead, the team funded their research using money from institutions and donations. In February of 2017, an expert committee convened by the U.S. National Academy of Sciences (NAS) supported germline editing up to a certain point. The panel said that such editing shouldn’t be used to enhance healthy babies, but could be permitted to prevent or treat disease and disability, provided specific criteria were met, and only if done with strict oversight. The NAS committee added that germline editing techniques need to become safer and more efficient. Moreover, the NAS panel recommended implementing a “stringent oversight system.” The panel stressed that gene editing should be the option of last resort for couples who have a serious genetic disease and no other ways of conceiving a healthy child. The NAS report endorsed edited embryos for basic research purposes, such as the work performed by the team at OHSU. While ultimately successful, Mitalipov’s gene editing approach had limitations. CRISPR-Cas9 works by cutting DNA at a precise point, after which the cell uses a matching segment of DNA as a template for repairing the cut. It’s analogous to tearing a misprinted page from a book and using the original edition to fill in the missing text. The OHSU team used CRISPR to slice the mutant version from the sperm and offered the embryos a healthy copy of the MYBPC3 gene to be used in the DNA repair process. However, to the team’s surprise, the embryos mostly ignored this gift and used the egg’s healthy copy of the gene in the repair process. The upshot is that Mitalipov’s technique would not work if both parents possess the HCM defect. If both parents pass a mutant version of the MYBPC3 gene to an embryo, there’s no good copy to use as a template. This is not a big deal because the odds are 1 in 500 the other parent will also possess the defective MYBPC3 gene. Moreover, doubts have surfaced about Mitalipov’s results. On August 28, a team of geneticists and stem-cell scientists posted an article to the bioRxiv preprint server questioning whether the mutation was actually fixed. The authors of the non-peer-reviewed bioRxiv report were led by Maria Jasin, a developmental biologist at Memorial Sloan Kettering Cancer Center and Dieter Egli, a stem-cell scientist at Columbia University in New York City and provided alternative explanations for what Mitalipov’s team saw. When most people think of designer babies, they envision genetically modifying humans to be taller, smarter or have superior athletic abilities. However, using genetic engineering on a human embryo to correct a small genetic defect meets the definition of making designer babies. After all, the baby has been designed with a superior quality; the freedom from a life-threatening genetic defect. It doesn’t make the baby superior to others. Should We Ban This Research? While his research is still in its early stage, Mitalipov’s team demonstrated a very real potential to use gene editing to correct life-threatening genetic mutations. While it might be tempting to ban research in this area, the U.S. National Academy of Sciences report suggests that this would be a mistake. It would stop researchers from finding ways to prevent genetic defects in the unborn. Moreover, the knowledge gained in the process can also be applied to help those already living with genetic diseases. Cover photo credit: vchal/Getty Images. AHA names top heart disease and stroke research advances of 2017. American Heart Association. February 8, 2018. Link to AHA announcement. Ma, H. et al. “Correction of a pathogenic gene mutation in human embryos.” Nature, volume 548, pages 413–419. 24 August 2017. Link to Nature article. Dieter Egli, Michael Zuccaro, Michal Kosicki, George Church, Allan Bradley, Maria Jasin. “Inter-homologue repair in fertilized human eggs?” bioRxiv 181255; doi: https://doi.org/10.1101/181255. Link to article in bioRxiv.